After the vote in the UK referendum to leave the European Union, the EU needs to be strengthened and receive a new dose of confidence, Bulgarian President Rossen Plevneliev said in Paris on June 27 after talks with his French counterpart Francois Hollande. “We must avoid the worst crisis, a moral one,” Plevneliev said. “We need to act decisively after Brexit. We should not wait for months,” he said, adding that “we do not by who and how” the process of negotiations would be handled. “We are deeply worried by the results of this referendum. From now on, however, we cannot allow uncertainty and we need to look ahead. If this is divorce, it has to happen in the most reasonable and democratic manner,” Plevneliev said. The EU should do everything necessary to remain on friendly terms with the UK so that should it wish, the UK would be able to, in time, return to the EU. “The Franco-German engine of a united Europe must not only continue to work, but to switch to a higher speed. Today we need this duo who take responsible decisions in Europe,” he said. According to the President’s press office, Hollande said that the European project must be protected from the insecurity after the UK’s Brexit vote in the June 23 referendum. The UK and EU should remain friendly but the next moves should be clear, he was quoted as saying. Meanwhile, Bulgarian Foreign Minister Daniel Mitov took part in talks among a group of EU foreign ministers in Warsaw to discuss the results of the Brexit referendu and the future relations between the EU and the UK. Mitov said that the outcome of the referendum was regrettable, “but we have to respect the will of British citizens and we should be careful, because almost half of them voting for staying in the EU. “We expect the UK as soon as possible to inform member states of the Union about its future intentions, this will enable us to take our own decisions and to conduct a more informed discussion in the 27 format,” Mitov said, referring the total of member states minus the UK. “We must emphasise that the populists in the UK who have created unrealistic expectations must bear responsibility. Even when the results were announced, they began to deny the promises and ideas associated with the rapid departure from the EU, and for that very reason have to suffer the consequences after this result,” Mitov said. Bulgaria’s Foreign Minister said that what was needed now was an honest, responsible and rational debate on the impact of Brexit and the future of the EU as a whole. “Europe must be more integrated, the EU should be reformed. It is in our interest to make use of the challenges, to change the Union and to conclude policies that have not been completed for decades,” Mitov said. National governments must take responsibility for what happens in their own countries and the lack of reforms in them. “Only in this way we will be able to take supranational and united action towards a stronger and reformed European Union,” he said. 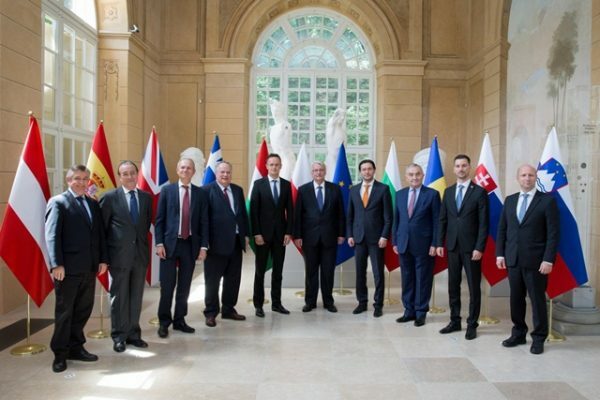 Earlier on June 27, foreign ministers of the Visegrad Group (V4) countries, Germany and France met in Prague for talks on the present and future of the EU following the UK’s referendum. German foreign minister Frank-Walter Steinmeier briefed the ministers on the consultations he had in Berlin with the foreign ministers of the six EU founding states. The discussion also covered a proposed German-French document on the EU’s future. “We are willing to create suitable conditions for all member states to implement policies approved by our societies. We are also willing to continue to sustain this citizen support,” Czech foreign minister Lubomir Zaoralek said after the meeting. Polish foreign minister Witold Waszczykowski noted the need for talks among 27 EU member states. “We need a discussion involving the broadest possible community of member states on the EU’s present situation in the wake of last week’s referendum in the UK,” he said.